New car has arrived called Maruti Kizashi the word “kizashi” means a sign of great things to come really a great car has arrived to add colours to your personna. This D segment car falls in the range of 10 to 12 lacs has all the attractive features to gaze you at! Is has strong competition. Maruti Kizashi is supposed to compete with Honda Accord and Toyota Camry in India. This Japanese car has four doors it is a mid size sedan, Maruti Kizashi, is to come with the same sporty and athletic looks. The title really suits it has brought something new some thing branded. New Maruti Kizashi has front wheel drive and optional all wheel drive and it is embedded with with six speed manual transmission and CVT. Looking forward for these features are they are so advanced and hi tech. This D segment car comprised of latest design and simply luxurious interior features. Maruti Kizashi gives you the real power to fly. Wonderful acceleration and pick up makes you fly on the while drive. 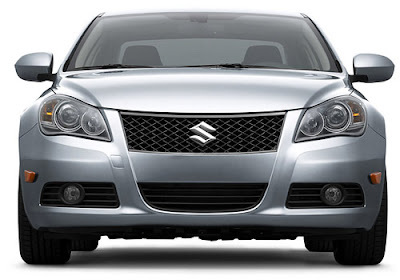 Maruti Kizashi, exclusive model of the Suzuki, is embedded with J24B 2.4 petrol engine with 4 cylinder 16 valves DOHC. To provide you ultimte fuel efficiency Maruti Kizashi has direct ignition system (DIS) for powerful sparks directly to the plugs . Gifted with advanced engine technologies, Maruti Kizashi provides 9kmpl in city and 12kmpl at highway. For a smooth and long drive its maximum fuel tank capacity of the car is 63 litre. Most powerful 2400cc engine is capable enough to produce 185 hp of peak power at 6,500 rpm (MT) and 180bhp at 6,000 rpm (CVT). While it churns 170Nm of peak torque at 4,000 rpm. Engine is six speed manual transmission. 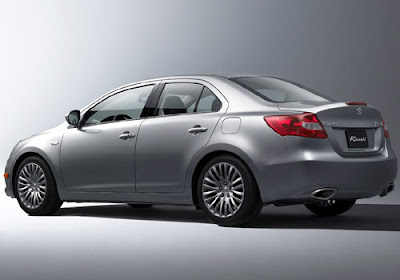 Maruti Kizashi has got really stylish exteriors and comfortable,safe interiors an ultimate feel of luxury. Front view is sporty and elegant. It has bigger regal honeycomb grille, lower grille they are fitted in “U” shape design and amazing jewel like projector headlamps. New Maruti Kizashi has has rain sensing automatic wipers and rectangular fog lamp. Beautifully fixed electronically powered outside rear view mirrors without LED turn indicators and is supposed to come like that only. 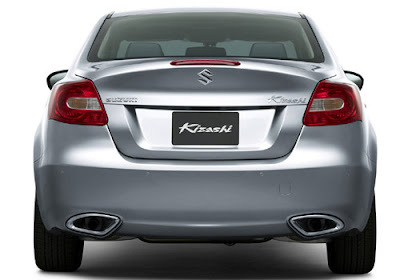 Maruti Kizashi has Twin exhaust pipes at the rear enhance to give aggressive and the sporty looks. It has strong support of 17 or 18 inch alloy wheels,the wheelbase is also good enough for stability and grip on road which is of 2700mm. Maruti Kizashi has power of the braking system equipped with Electronic brake-force distribution, (Anti-lock Brake System (ABS) and Electric Stability Program (ESP) . A five passenger New Maruti Kizashi promises more comfort. For utmost luxury it has comfortable interiors has enough space for head and legroom area,with Armrests and cup-holders and the rear seat is split- folding . .the front and rear headroom would be 998.22mm and 939.8mm while front and rear leg room might be 1059.18 mm and 904.24 mm respectively.Wonderful features like Side impact rear door beams , child safety locks and DRL and ELR (Emergency Locking Retractor) seat belts with pretensioner. Music is the spice of drive how come Maruti Kizashi forget it! Maruti Kizashi is believed to be brought in India with sophisticated It has audio system which has got 7 speakers and blue tooth connectivity.with MP3 /CD player with FM . 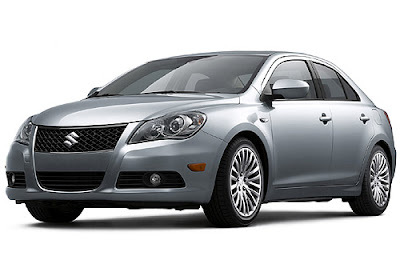 New offspring of Suzuki that is Maruti Kizashi is now arrived so get going and buy it! Maruti Kizashi is a D segment car. It has very attractive features. This is a mid sedan car. This car is also is has the sporty look. The word Kizashi means sign of great things. And this car also has great features in it.